With bundles of experience and expertise, we know everything there is to know about planning, managing and delivering a successful custom print. We help hundreds of customers every year to bring their brand concept to life on a wide range of disposables and food packaging products. The key to our success is a print management service, supported by a dedicated print management team, that oversees our customer’s custom print projects from start to finish. When it comes to food packaging, branding is an effective way of giving consumers a fabulous first impression, both of your business and your food and drink offering. 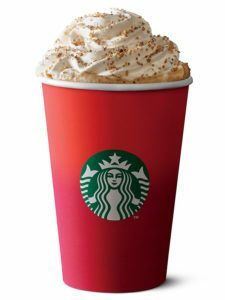 National coffee shop chain Starbucks impress their customers with their red Christmas hot cups every December, and quick service restaurant McDonalds add competition content to their packaging with their Monopoly themed campaign. 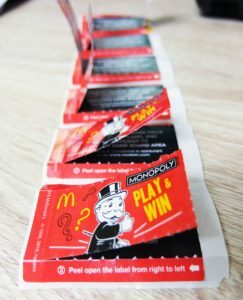 The McDonalds monopoly campaign creates a sense of fun and prompts a speedy return trip by offering their consumers tokens which can each be exchanged for a prize. According to the packaging distribution service DotCom report, more than 40 per cent of shoppers revealed that branded packaging makes them more likely to recommend products to friends or share via social media. Many of those shoppers also went on to say that branded packaging instantly makes a product feel more premium. What is the monthly usage volume for the product you are intending to print? For example – if you are currently using a plain (unprinted) paper hot cup, which you intend to switch to your new custom printed hot cup, how many of the plain cups do you currently use each month? This current volume should give you a good forecast for the custom printed product. This is important because the cost and viability of custom print is often dependent on volume. The print management team will ask for a forecasted volume – to best manage cost and continuity of supply. If you are switching to a new product for your custom print – we recommend you see (and perhaps test) a sample of it before you commence. Seeing the plain product first, ensures there’s no surprises later-on, when it would be more difficult to make a change – or the printed product has already been produced. The print management team will organise samples for you at the start of your project, if you require them. When planning a custom print across multiple products, it’s important to understand that identical colours may display differently on different products, even if you’ve specified a pantone spot colour. For example – a Kraft paper bag printed with spot colour ‘pantone 268’ and a white smooth wall hot cup also printed with spot colour ‘pantone 268’ may take on a slightly different shade or tone – due to the difference in colour and texture of the material being printed on. When products are printed, they are usually done so in their unassembled form. 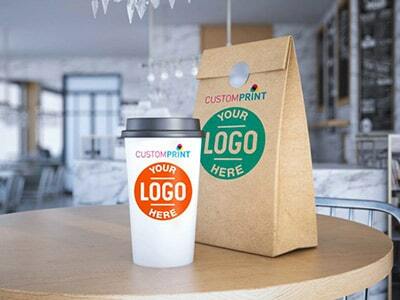 For example – when custom printing paper hot cups, the artwork for the cup is first printed onto large rolls of paper (flat), which are then later assembled into cups. This means that artwork is often required in a specific format, so that it will display correctly once assembled. These formats are often available as blank product templates, to make creating the artwork simpler, these are provided by the print management team. The quality of artwork provided for a custom print project, directly affects the quality of a final print. The recommend output for artwork files is EPS. This is a vector file that has been created with professional design software – and will provide a high-resolution output. Artwork files labelled JPEG, GIF or TIF are often lower resolution, and will generally not be accepted. The print management team advise customers on artwork specifications when planning a custom print project, to ensure the artwork is created correctly and the final print quality is as expected. At Bunzl Catering Supplies, we offer a custom print service on many of our products. Take a look through our Tableware, Disposables and Food Packaging e-brochures and keep an eye out for the ‘Print Your Logo Here’ icon. If you’d like any further information on our custom print service, contact your local Bunzl Catering Supplies branch.